(by Ben Westcott, Eliott C. McLaughlin, Saskya Vandoorne, CNN) – The missing head of Interpol, who vanished after returning to his homeland, is under investigation in China, authorities in Beijing have confirmed. Sunday’s statement did not specifically say that Meng had been arrested, or that he remains in China. However, previous suspects who have been described as “under investigation” by the National Supervisory Commission — the country’s top anti-corruption agency — have often reappeared in the custody of the government at a later date. [The 64-year-old, who is also a vice-minister at China’s Ministry of Public Security, was “taken away” for questioning by discipline authorities “as soon as he landed in China” last week, a source told the South China Morning Post, a Hong Kong-based newspaper known for its connections inside the Chinese government. In a separate development, Interpol said it had received Meng’s resignation from the international police agency with “immediate effect” according to statement posted Sunday. It made no mention of the former president’s sudden disappearance or his current whereabouts. Meng’s disappearance comes just one week after one of China’s best-known actresses, Fan Bingbing, reappeared following a lengthy disappearance, admitting to tax evasion and promising to pay a large fine. Meng’s disappearance was first reported to authorities by his wife, Grace, who went to police in Lyon on Thursday, according to the French Interior Ministry. She told police that she last heard from him 10 days prior and had received threats on social media and by telephone, according to the statement. 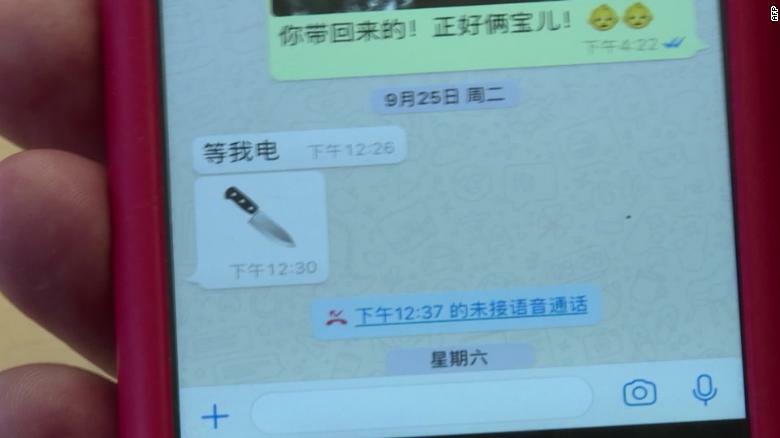 Screen grab from the message Meng Hongwei sent to his wife Grace Meng’s phone. “Interpol’s General Secretariat looks forward to an official response from China’s authorities to address concerns over the President’s well-being,” the statement continued. Interpol said Sunday night that South Korea’s Kim Jong Yang, a vice president representing Asia on Interpol’s executive committee, would serve as acting president until the organization’s general assembly picks a permanent president next month. Interpol, or the International Police Criminal Organization, facilitates international police cooperation. It has 192 member countries. Meng was appointed head of Interpol in 2016, and was due to serve until 2020. His appointment caused concern among academics and human rights advocates, who feared he would abuse Interpol’s powers to forcibly repatriate Chinese dissidents and fugitives. Last April, Interpol issued a red notice for Chinese fugitive tycoon Guo Wengui at Beijing’s request. Critics said Meng’s disappearance would sound alarm bells in global organizations that work with China. Katrin Kinzelbach, associate director of the Global Public Policy Institute in Berlin, said Meng had been under close observation since joining Interpol as his appointment had caused concern among academics and human rights advocates. “Ironically, Meng’s disappearance can be a wake-up call, making it more difficult for the PRC [China] to [obtain] leadership positions in international organizations,” she said. Kinzelbach also urged Interpol to issue a yellow notice – a global alert used to help locate missing persons – on Meng’s behalf. “As a matter of fact, Interpol cannot by itself investigate the whereabouts of its missing president, but it can, and in fact should, issue a yellow notice,” she said. PRC’s national authorities would then have to search for him. That is ironic, because Meng Hongwei seems to be a victim of their disciplinary procedures,” she said. She said his disappearance was unlikely to have an impact on Interpol’s operations as his role was that of an executive. However, his appointment was an alarming sign of China’s ability to shape international organizations, including those in which its authoritarian influence was extremely dangerous, she said. Published at South China Morning Post on Oct. 6, 2018. Additional reporting by Reuters. c) Why were human rights activists concerned when China’s Meng Hongwei was appointed President of Interpol in 2016? e) Why is Meng’s wife so worried about him? Meng Hongwei’s disappearance seems to fit in with a now familiar pattern among China’s senior Communist Party officials. The official in question suddenly drops out of the public eye and an alarm is raised that the person is “missing,” usually by members of the public. Eventually, the party issues a terse statement that the official is “under investigation,” the official is then booted from the party for “disciplinary infractions” and – eventually – a prison sentence is announced. Since Chinese President Xi Jinping came to power in 2012, well over a million party officials have been disciplined in some way. Mr. Meng’s case is notable for a few reasons. First, his wife notified the French authorities after he had only been missing for a few days. Family members of missing party officials rarely, if ever, reach out to foreign authorities, in fear their relatives will face ever greater punishment. Did the wife do this because she felt there was no other option? Also, at one time, China prized Mr. Meng’s lofty position at Interpol. 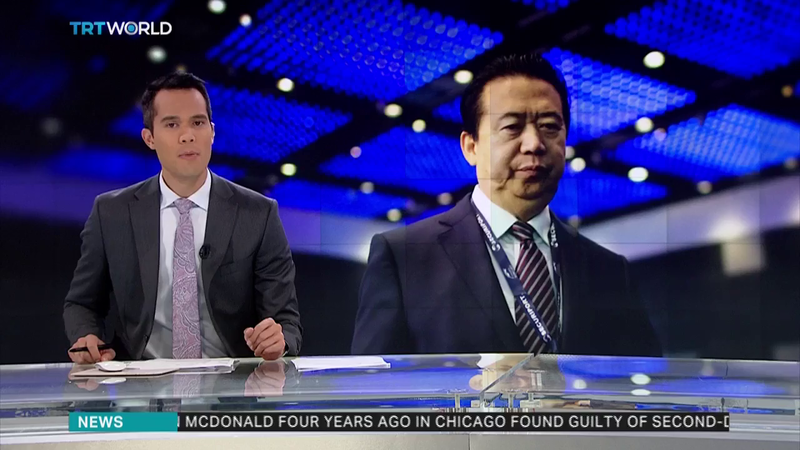 If he has really gone missing within the Chinese state apparatus, whom did he anger, or what could he have done for Beijing to willingly, and publicly, forfeit the top job at Interpol? In a statement, the organization said it was aware of reports of the “alleged disappearance” of Mr. Meng. “This is a matter for the relevant authorities in both France and China,” it said. Interpol added that the secretary general – not the president – was in charge of the day-to-day running of the 192-member organization. 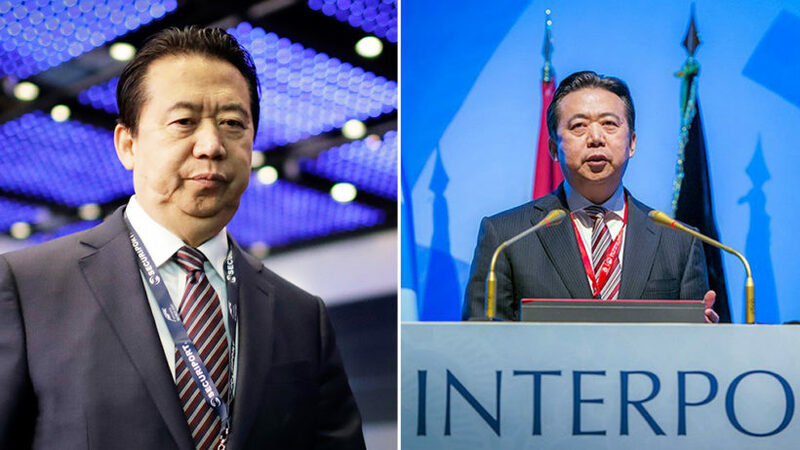 As president, Mr. Meng leads the Executive Committee, which provides the overall guidance and direction to Interpol. Mr. Meng’s term is scheduled to run until 2020. From Euronews: What is Interpol?